This is the last instalment of the popular trilogy, the Hunger Games. I read books before catching the movie so I can be sure I get the intent of the author, because movies are generally edited to fit the budget, length or even audience taste. The Walking Dead is the perfect example of the comic and the show having few commonalities other than zombies and Rick Grimes. I breezed through this one just as fast as the other two and found it easy to get back into the story. Despite being another youth novel, I didn't struggle to get pulled into the story and followed right along. 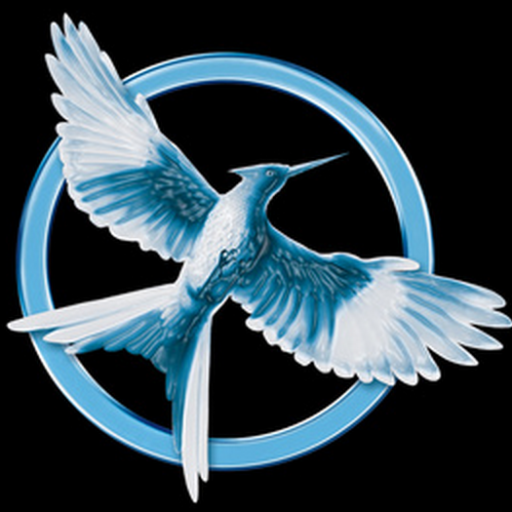 In this book, Katniss' character is changing more and more, and she's questioning her own motives and even behaviours. The fact that she's struggling to maintain her connection with Gale is a pivotal piece, in my opinion, because they both fed off one another throughout their youth. Even her little sister Primrose is no longer the whiny screechy kid sister and learning her own trade. This instalment is a sort of turning point where each characters' coming of age is evident. The story happens in more detail and at a much slower pace than the movies, which I appreciated. Darker themes such as war, poverty, effects of war are more prominent in this book; giving it a darker tone than the previous two. The characters are plunged into darker versions of themselves when forced to confront the sadistic retaliation of the Capitol not evident in the first two. Difficult decisions are made and hard consequences are apparent. Our heroine reluctantly faces these new found situations and strives to maintain a sense of dignity and humanity. Reading the book gives you the inner dialogue of the characters that is impossible to gain from watching the movie and this story is best told in the written medium.